A fryer without oil, what for ? 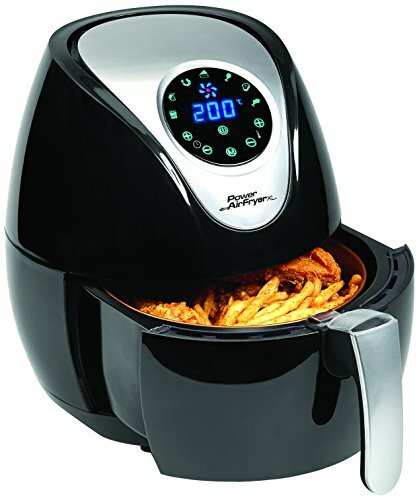 How to choose an air fryer ? 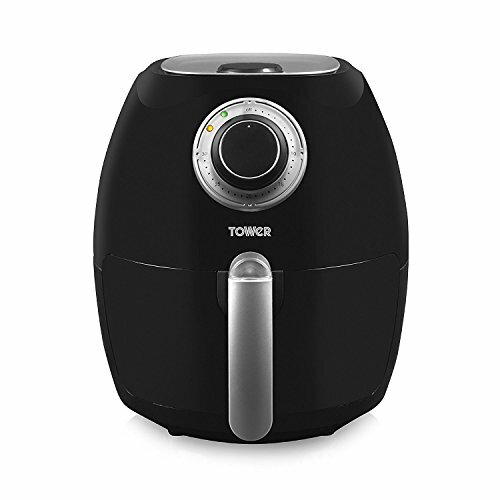 What is the average price of an air fryer ? 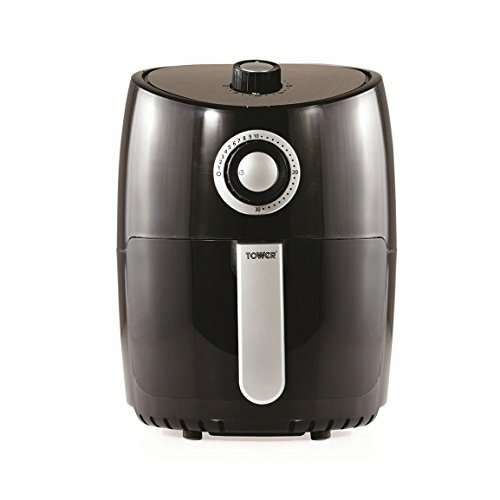 How to easily use an electric air fryer ? It does not matter, whether we are adults or children, we all love fried food! But it is true that sometimes, the oil is not really pleasant, and not really recommended for health. 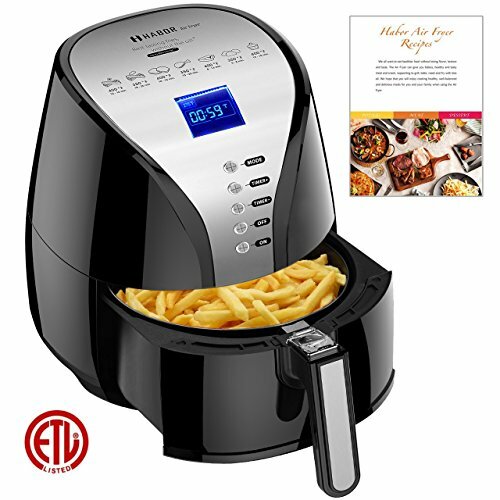 That’s why there are many air fryers on the market nowadays that can make fries with less fat. But then, what is this product, what are the characteristics, how to choose the machine, and above all, what is the price? These questions, many people ask them. In order to answer your question as much as possible, we have decide to write this buying guide for you. 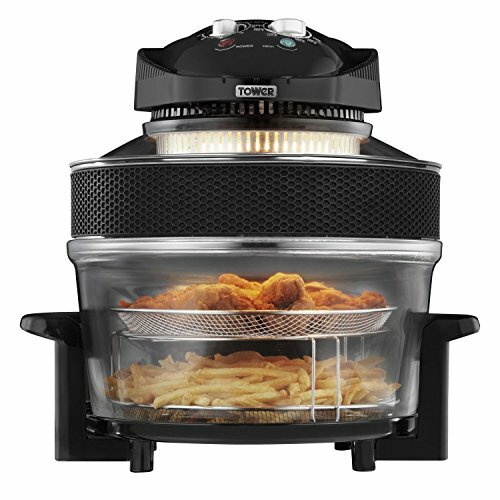 Here are the three models of oil-free fryers we have selected from all the products on the market. 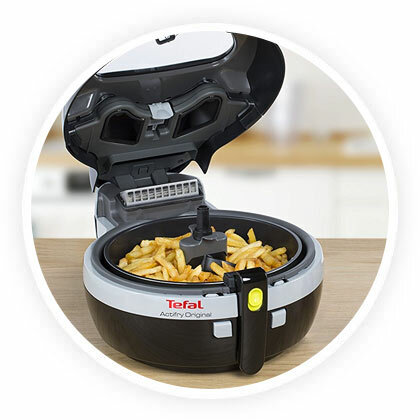 These are the 3 recent and functional products that convinced us the most, with the famous Tefal Actifry at the top of the list. As everyone knows, to prepare good french fries, you must first dip the potatoes in the oil. Unfortunately, this step actually increases fat, which would be bad for our health. That’s why several brands have thought of all those who want to eat french fries in a healthy way. Then, the oil-less fryer is born. 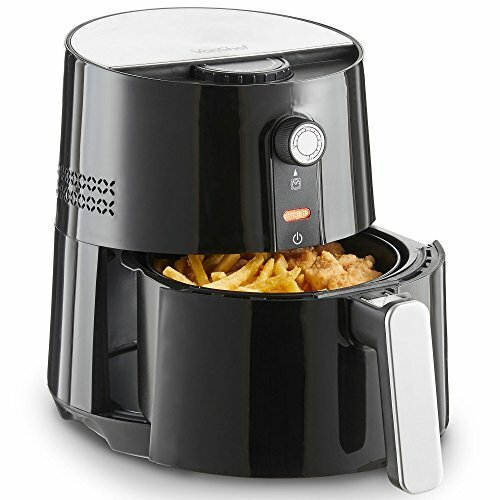 With the air fryer, you can, not only make fries, but also other dishes, with a single dose of oil only. 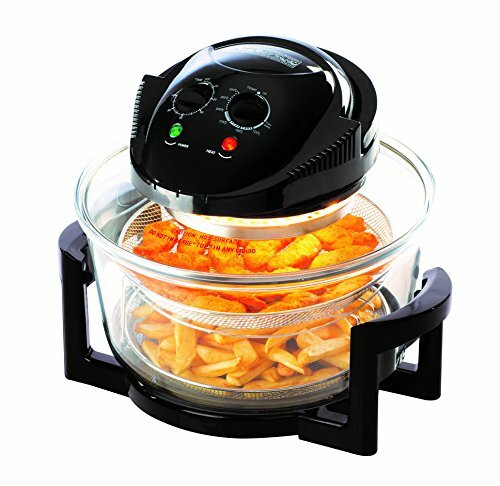 Hot air is simply propelled by the machine, and it will be in charge of the cooking and allow you to have very crispy fries. Like any purchase, when you want to buy an air fryer, you have to take into account some criteria to be sure you are making the right choice and not be disappointed afterwards. First of all, you need to check the capacity of the tank. The capacity can vary between 700g and 1.5 kg, knowing that it takes about 250g of fries per person. As you might be aware by now, it all depends on the number of people in your household. Note that some machines announce the capacity of the tank in liters, not in kg. So remember that 0.8 kg equals two liters. The second criteria to take into account is the cooking time, which is generally specified in the description of the air fryer. This can vary from 10 to 45 minutes, depending on the power and capacity of the tank. The faster the cooking, the better it is! Then, you need to find out about the usability. Indeed, few machines propose an automatic shutdown at the end of cooking, which is not negligible if you want to do something else during the preparation of the meal. Another criteria, which might be important for few users, is the presence of a small “window” to check on the cooking. With this detail, you will be sure not to miss your meal. Finally, the last two criterias to check before buying are: design and size. Before the purchase, try to see where you can put the deep fryer, do you have a space for a big or a small fryer? If we talk about the design, it’s up to you to choose the color that you like the most and which fits best in your kitchen. To guide you through your decision, we have selected for you the ten best oil-free fryers available on the market. 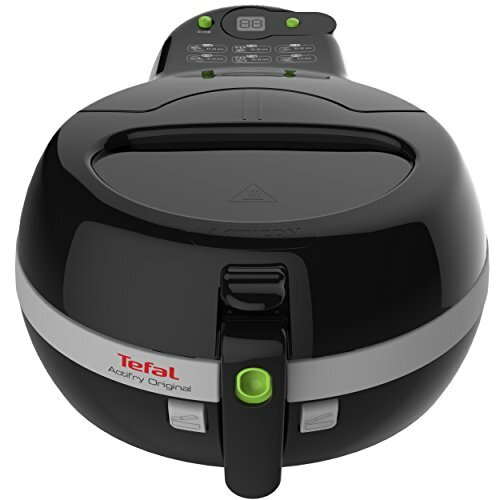 Tefal, Philips, Duronic, all the leading brands are represented. 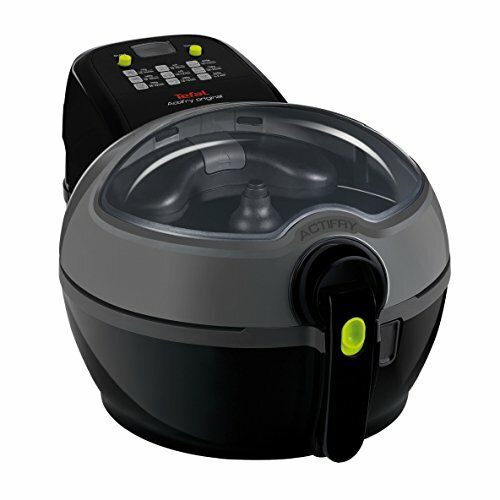 Prices starting at less than 35 £ to more than 150 £ with the model Philips Airfryer HD9220/20. Firstly, the less oil you use, the better it is for your health. Thus, it is better to choose this product and significantly reduce the fat. One last argument for the record? You can start cooking while doing something else. Time saver! Like all appliances that cook on their own, prices may vary depending on the characteristics of the product, the design, but also the brand. 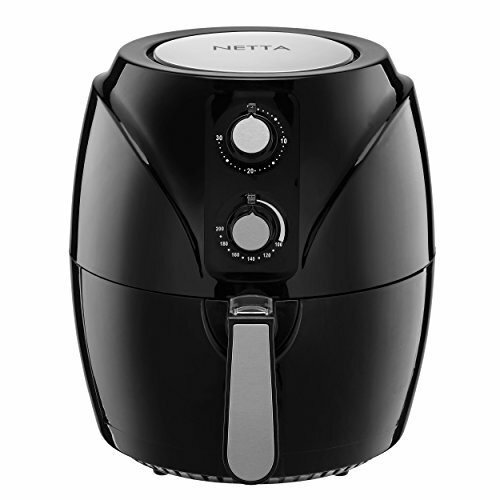 Generally, you will need between 70 and 100 £ to acquire a good air fryer. Some low-end models are proposing item at a lower price, but you might be disappointed with the result. We advise you to choose for a known brand, thus ensuring a guarantee worthy of the name. When you want to make recipes with potatoes, you buy them according to the cooking. 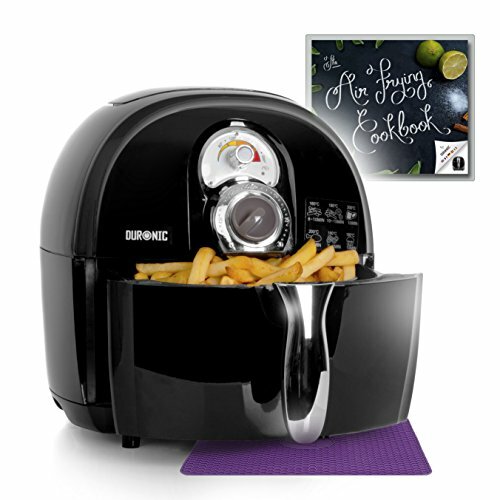 To make fries with this type of equipment, you have to buy special fries potatoes. First, peel or wash the potatoes and cut into French fries. Wipe them well, then remove the starch. After that, refer to the appliance’s manual to learn how to set the thermostat and timer. Next put the chips in the tub with a spoon of oil. 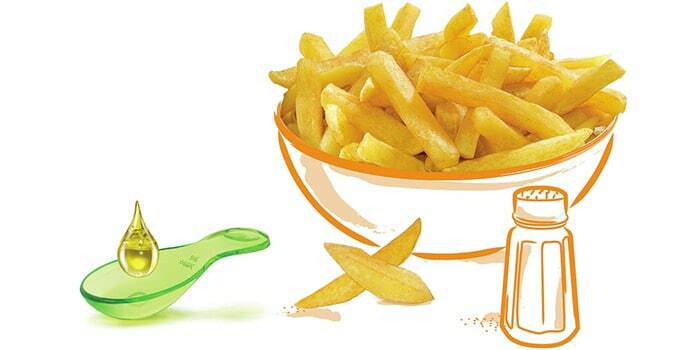 Do not hesitate to add a little salt and pepper to make tastier French fries. ✅ Regarding the positive points of this type of device, they are: product little odor, time saving and above all money and the taste of french fries. Actually, these are as crisp and tasty as oil fries. So why hesitate? 🔴 The only negative point that we can highlight for this type of machine, is the cooking time of less expensive ones which is 35 minutes. Indeed, with this time, it is better to plan fries-party beforehand. 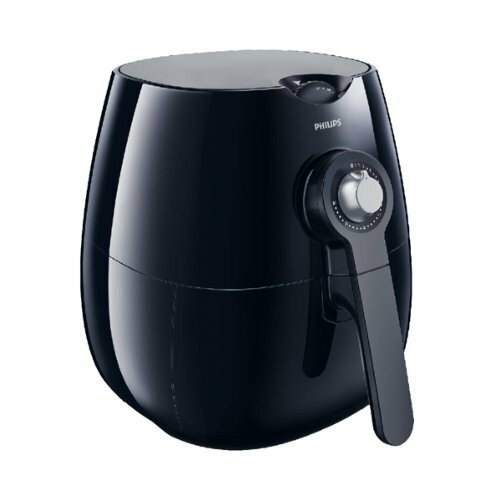 We hope that this buying guide has been useful to you, and that you will quickly find the model of air fryer for you. Before choosing a particular appliance, do not forget to look at the size, the cooking time, and the price.